Apr 25 - The pool at Ron Andrews is closed and will re-open at 5am Friday, April 26. The hot tub, steam room and sauna remain open. 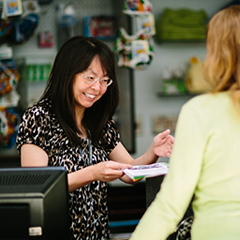 North Vancouver Recreation & Culture works with community agencies and associations to support programs serving the Lions Gate, Lower Capilano, Norgate, Pemberton Heights & Woodcroft neighbourhoods. Grade 6 & 7's join Capilano Community Services' afterschool programming for a variety of activities and opportunities to socialize. A weekly transportation program for seniors to help them purchase their groceries, and an opportunity to socialize with peers. Telephone before Fridays for pick up at your home. For more information call Miki or Caprice 604-988-7115 or visit the website. The Lower Capilano Partnership Committee was created in January 2007 with the goal of improving community infrastructures and supports in five neighbourhoods: Lions Gate, Lower Capilano, Norgate, Pemberton Heights, and Woodcroft. This unique group of community service providers, and community members share and work toward a common vision for the Lower Capilan area. Filling in the gaps in neighborhood needs. Building cross-neighborhood relationships and implementing sustainable social, recreational and educational programs for families and people of all ages & cultures. Support for Lions Gate initiatives has been provided by the District of North Vancouver through funding grants and by the North Vancouver Recreation and Culture Commission through direct staff support. Grant funding is targeted both to enhancing existing programs and developing new ones. In 2015 the Lower Capilano area was renamed Lions Gate. For more information please check the District of North Vancouver's website.